Japanese post-rock band Mono expand upon their ever evolving sound with the release of two new studio albums, ‘The Last Dawn’ and ‘Rays Of Darkness’. Both albums offer up something different to each other, tied together in terms of their physical presentation, but not in the tone of music they both offer. The second of these two albums ‘Rays Of Darkness’ showcases Mono’s more heavier slant on the post-rock genre, indulging greatly in elements of math-rock to present what comes across as an incredibly harsh and indulgent album experience. ‘Rays Of Darkness’ departs greatly from its counterpart ‘The Last Dawn’, separating itself entirely through its presentation of darker and harsher elements. Heavy guitar riffs push the album along at an incredible pace, offering a pure indulgence to listeners, and highlighting many strengths of both math-rock music, as well as Mono’s presentation of the genre itself. There’s a lot to enjoy here from Mono, who showcase more of their heavier style in perfect fashion, crafting together an enjoyable album experience that encompasses a completely different context to its counterpart. Whilst ‘Rays Of Darkness’ offers up an incredible amount, the album seems to come across a little bit weaker both in context with its counterpart album, and in comparison to the rest of the bands’ discography. The album itself is much shorter than most else Mono have released, and whilst it showcases the bands’ heavier style in a perfect fashion, it doesn’t seem to be as strong as other efforts we’ve seen from Mono. Whilst there’s a lot to enjoy, it seems there’s a notion that this album wouldn’t really work without the context of its counterpart album. The album is also much shorter in comparison to ‘The Last Dawn’, which is a shame considering how strong the elements on the album are. Mono’s ‘Rays Of Darkness’ is certainly an achievement for the band in terms of showcasing clearly their own style of heavy aggressive post-rock music, though the album effort itself doesn’t come across as one of the most enjoyable efforts from the band. There’s a lot to enjoy from Mono and certainly indulge with, though this isn’t the absolute best of Mono, instead just a side of Mono we might not have ever seen clearly before. The release of both ‘The Last Dawn’ and ‘Rays Of Darkness’ showcase great creative talents of Mono as a post-rock band, with both clearly defining different elements in perfect fashion. Mono’s latest albums ‘The Last Dawn/Rays of Darkness’ are out now. Japanese post-rock band Mono expand upon their ever evolving sound with the release of two new studio albums, ‘The Last Dawn’ and ‘Rays Of Darkness’. Both albums offer up something different to each other, tied together in terms of their physical presentation, but not in the tone of music they both offer. The first of these two albums ‘The Last Dawn’ sees Mono offering up a gentle cinematic post-rock experience, indulging greatly in the long drawn out sections that allow the music to carefully express itself. It’s a wonderful effort from Mono, showcasing once again their great talent in creatively composing post-rock music. ‘The Last Dawn’ seems to express a more gentle side to Mono, not ever indulging in loud noisy crescendos (which is saved for ‘Rays Of Darkness’ instead). There’s a lot that works on ‘The Last Dawn’, which presents a near-perfect post-rock experience. Much of the effort feels widely cinematic, sounding very carefully crafted, with each element carefully considered to the last detail. Each track flows into each other wonderfully, presenting the key themes and concepts of the album in fantastic style, making the whole effort come across as one of the strongest releases from Mono thus far in their career. There’s a lot to enjoy on ‘The Last Dawn’, which feels like one of Mono’s strongest album efforts in their current discography. There’s few weak moments on the album, with each track offering up something that works incredibly well on the album. Fans of Mono’s math-rock elements might find ‘The Last Dawn’ to be much of a chore for the most part, especially due to the incredible lack of math-rock elements which have been saved for ‘Rays of Darkness’ instead. Elements of the album might polarize certain fans, though there’s an incredible amount that works here, making it a worthy effort. Mono’s ‘The Last Dawn’ seems to come across as one of Mono’s more stronger album effort, showcasing their incredible craft of post-rock music, and how incredibly strong emotion can be drawn out of the presentation of the instrumentals. In context with ‘Rays of Darkness’, ‘The Last Dawn’ feels like the more stronger album effort, showing much more clearly the best strengths of Mono’s music. The release of both albums seem to showcase the absolute best Mono have to offer, cementing their position as one of the best and most exciting bands within the post-rock genre. Experimental instrumental rock band Svarta Stugan offer up their third EP release titled ‘Aspects Of Our Future Selfs’. Combining elements of traditional post-rock formats with their own experimental flair, Svarta Stugan offer up an interesting album experience, highlighting a lot of their strengths as an instrumental rock band. ‘Aspects Of Our Future Selfs’ explodes onto the scene with odd little notions and creative ideas, showcasing idea after idea after idea. For the most part, it’s all a rather interesting release, showing a lot of creativity from the band, as well as their own capabilities. ‘Aspects Of Our Future Selfs’ see Svarta Stugan pushing forward a range of different styles and ideas, resulting in a mixed-up range of tones that all come together rather cohesively in one album package. Track range from slow post-rock aesthetics to crazy thrashing styles reminiscent of certain math-rock bands. 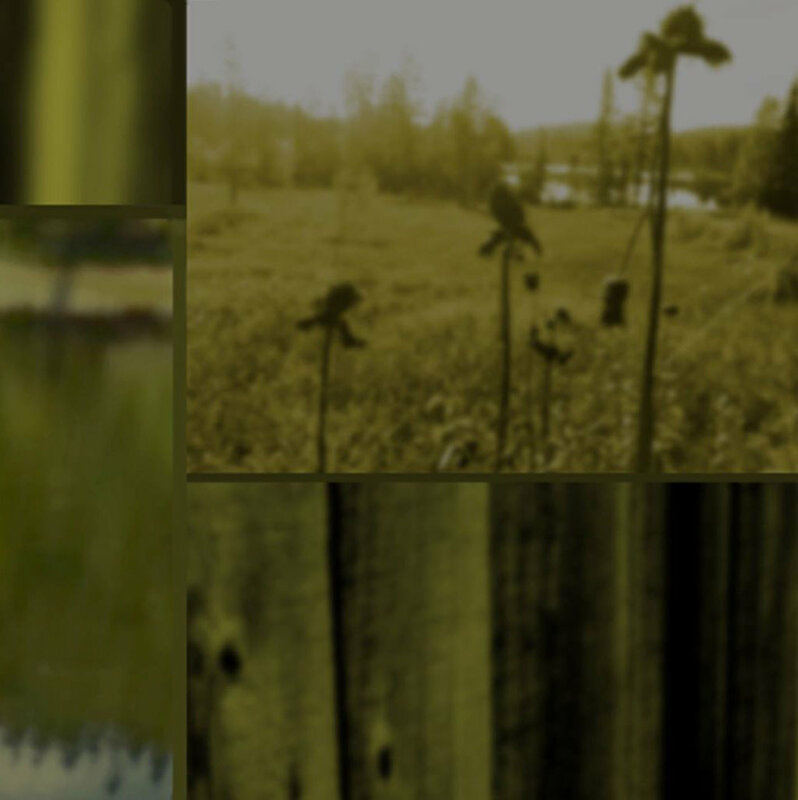 There’s a fair amount to enjoy here, especially for fans of the post-rock genre who’ll find Svarta Stugan’s mixing up of the genre to be rather enjoyable. The notion of melding together different concepts and ideas works rather well for Svarta Stugan, but certain tracks on the EP seem to sound a little bit odd, rather than adding to the overall experience. In particular is the inclusion of one rather thrashy song, which demonstrates some nice ideas, but seems a little oddly placed on this EP. Svarta Stugan’s ‘Aspects Of Our Future Selfs’ offers up some nice ideas and some well composed tracks, though perhaps the band have included a little too much on the EP, rather than delicately crafting their EP to create an incredible listening experience. The inclusion of some rather odd tracks doesn’t really affect the overall impact of the EP, but it does raise a few questions. Overall though there’s a lot being showcased by the band, who clearly have a good understanding of the post-rock genre in all its forms, and how interesting and creative music can be drawn from a number of different genres and ideas. Svarta Stugan’s latest EP ‘Aspects Of Our Future Selfs’ is out now. Following on from the release of the highly abstract and sadly rather dull album ‘Shape Of Illusion’, experimental artist Sound Awakener offers up his latest album experience titled ‘Five Chapters’. Following on with the very odd experimental sound, Sound Awakener’s latest album presents a more cohesive album experience, where each track ties in together to create one full album experience. 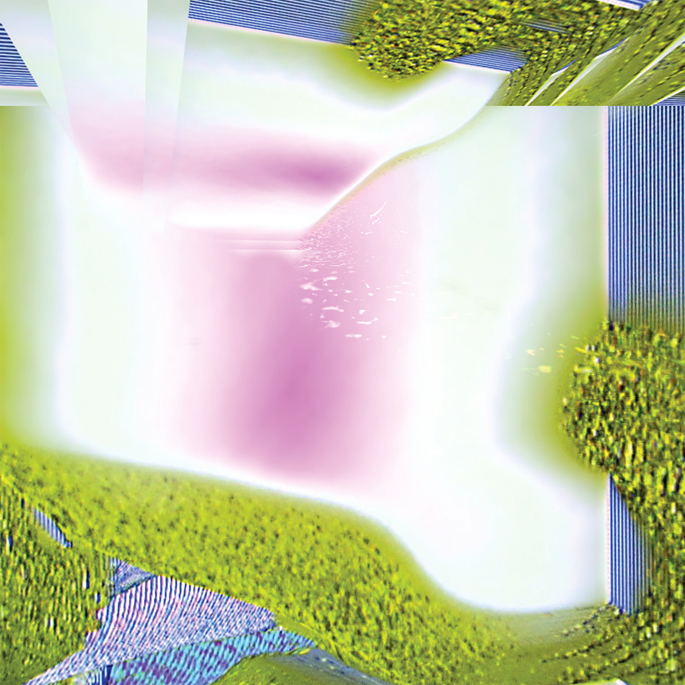 It’s every bit as experimental as the artists debut release, showcasing a great number of experimental styles, though the album itself raises the question of what is really on offer here, and is this a kind of experimental music really worth bothering with? ‘Five Chapters’ offers an odd album experience, dominated by abstract droning elements backed up by what can only be described as discordant piano notes that oddly enough drive the album along. It’s incredibly unusual, pushing forward somewhat the capabilities of experimental music, or at least so in Sound Awakener’s eyes. What works here is how each track manage to compliment each other, creating one fully cohesive and understandable album experience that doesn’t jar with each other. It’s a step in the right direction following on from the release of ‘Shape Of Illusion’, though there’s still not a lot really happening here. Sound Awakener’s experimental style is certainly interesting within its own right, but the album itself doesn’t seem to really do much with it. It feels like the only experimental idea the artist has is to place discordant tones over the music, creating an unsettling experience, which is interesting in its own right, but also one that just comes across as annoying. Nothing much really stands out and sticks in the memory, which is usually a power any branch of experimental music can have. It’s unknown what Sound Awakener is trying to achieve, if it’s attempts to create interesting experimental music, then it has regrettably failed, but if it’s attempts to create what can only be described as dull music that drags on and on without going anywhere, then that notion has been achieved. Experimental music is a hard genre to judge at most times, but in this case, it seems there’s not really enough truly being experimented with to make the music worth bothering with. Each track follows the same notion and ideas, making it a rather tedious album work-out that doesn’t deliver anything at any point. ‘Five Chapters’ just doesn’t seem to offer anything, simply showcasing Sound Awakener’s rather dull indulgences in experimental music. The album itself might be a step-up from the previous effort of ‘Shape Of Illusion’, but it doesn’t really mean much at this stage, as the whole album is still a boring musical experience. 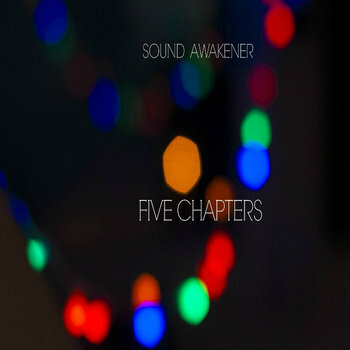 Sound Awakener’s latest album ‘Five Chapters’ is set for release on 4th October 2014. Roger Tellier-Craig (Of Fly Pan Am, Et Sans & Set Fire To Flames) presents his latest solo-effort under the moniker of Le Révélateur titled ‘Extreme Events’. The new album from Tellier-Craig follows on from his previous release under the Le Révélateur name, titled ‘Fictions’, released back in 2011. ‘Extreme Events’ offers a wholly electronic music experience, sounding a little bizarre and crazy at times as we’re bombarded with the stabs of electronic drones. Tellier-Craig actually uses this to great lengths on ‘Extreme Events’, constructing a very experimental album that works on many different levels. Whilst there’s much to enjoy from ‘Extreme Events’, the album itself faults on occasion, mostly towards the end of the album were the impressive elements used to build up the album start to come across as a little dull in a few parts. It’s never enough to completely bring down the whole effect of the album, though it does perhaps make the album come across a little bit weaker than it would have done. The album’s highly experimental nature also prevents the album from being all that accessible, and whilst it’s not a problem for those who enjoy experimental music, it does make the album itself a challenging listen within its own rights. Tellier-Craig’s latest album under his Le Révélateur moniker is one that is certainly interesting and a little weird, though ultimately very satisfying for its own reasons. There’s something about the odd droning abstractions that Tellier-Craig builds up that comes across incredibly strongly, making for an interesting album experience. It might be a challenging listen to some, but to those who enjoy experimental music in a very broad sense, or are fans of many of the release from Tellier-Craig, might go on to find ‘Extreme Events’ to be one of the best releases from this incredibly interesting artist. Le Révélateur’s latest album ‘Extreme Events’ is out now. Scottish rock band The Twilight Sad seem to be going from strength to strength with each and every release since their brilliant 2007 debut effort ‘Fourteen Autumns & Fifteen Winters’. The bands’ fourth studio album ‘Nobody Wants To Be Here And Nobody Wants To Leave’ comes across as another phenomenal effort, bringing with it remarkable strengths that truly cements The Twilight Sad as one of the most exciting bands working within their genre. The Twilight Sad seem to be taking great strides with their album releases, with their latest album effort being another wonderful addition to their already strong discography. ‘Nobody Wants To Be Here And Nobody Wants To Leave’ seems to in some ways present another chapter in The Twilight Sad’s discography. The band seem to have expanded upon what they learnt from their previous effort, expanding upon dark electronic layers, and combining it with what could be argued as being their original sound. Electric guitars seem to dominate much of the album, adding with it an incredibly haunting and despairing tone that drives the entire album forward. The whole album is an incredible album effort, with few tracks bringing the overall impact down in any way. There’s very few weaknesses to ‘Nobody Wants To Be Here And Nobody Wants To Leave’, which sets itself up as being one of the strongest efforts we’ve heard thus far from The Twilight Sad. 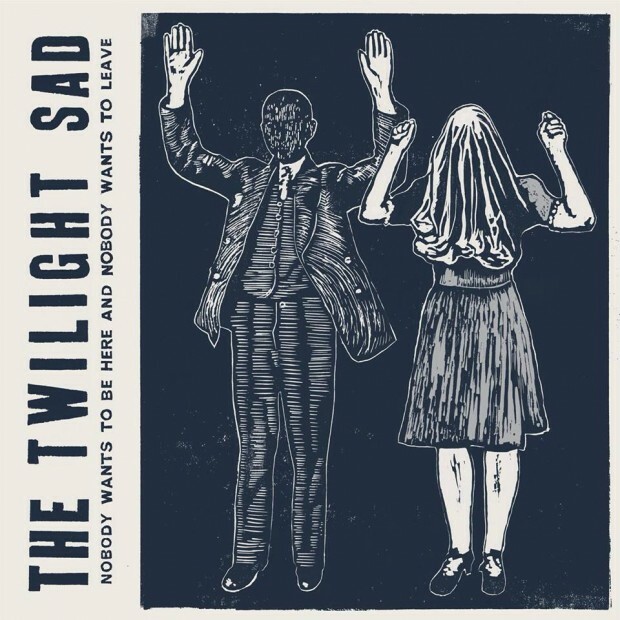 The incredibly unhappy tone of the album which perhaps limit the album’s popularity to some extent, though this is hardly a point that unsurprising of Twilight Sad albums, and in fact is where the bands’ true strengths lie. Those who enjoy music from The Twilight Sad should find ‘Nobody Wants To Be Here And Nobody Wants To Leave’ to be another incredible addition in their current run of albums. The Twilight Sad have not just pushed out their already existing strengths once again on their latest album, but have instead done so with even more vigour, pushing forward another phenomenal album effort that could be their strongest effort thus far. Everything is deliciously dark, featuring wonderful and thought-provoking lyrics backed up by powerful instrumentals, with the whole album effort featuring a wonderful flow that ties the whole album together brilliantly, making every track sound as significant and important. It’s another wonderful effort from the unhappy Scottish band, one that firmly positions the band as one of the strongest working bands within their genre. The Twilight Sad’s fourth studio album ‘Nobody Wants To Be Here And Nobody Wants To Leave’ is out now. 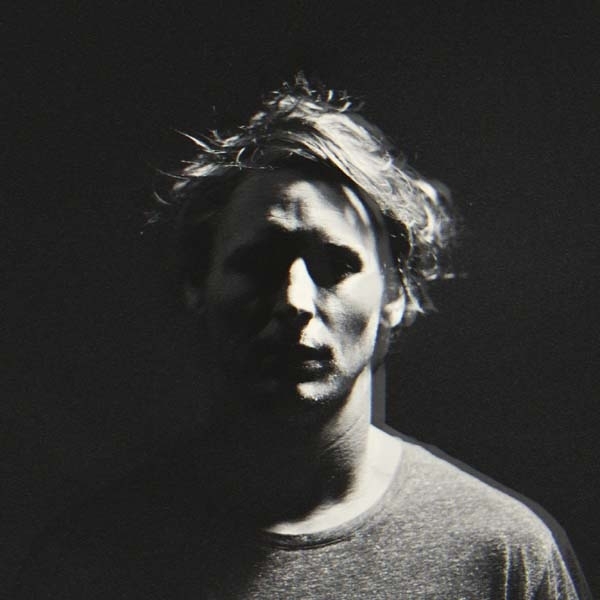 Singer/song-writer Ben Howard offers up the follow up to his critically acclaimed 2011 album effort ‘Every Kingdom’, with the release of his sophomore album ‘I Forget Where We Were’. The new album features Ben Howard presenting his song-writing strengths all over again, though with a wholly new perspective that makes ‘I Forget Where We Were’ a worthy follow up to his debut effort. Much of the album offers up a dark experience, expression notions of lost love and failed relationships. Elements of the album perhaps feel a little bit clichéd at times, not coming across as strongly as the singer’s debut effort did, though there’s still much to enjoy. Ben Howard’s latest effort doesn’t offer much of the youthful pleasantries that the debut effort presented, instead opting for a more mature and thus sombre approach to the themes and concepts that truly dominate the album. Much of the effort feels every bit as enjoyable as the debut effort did, though in quite a different context. Howard’s efforts feel more downplayed for the most part, making sections where the music explodes into loud instrumental sections feel much more impactful and strengthening the music. Howard’s latest effort seems to expand upon the more sombre tracks from his debut effort, offering us quite dark yet mellow tracks. There’s not as much hope as the debut effort presented, and whilst it certainly offers up many strengths in its own right, the whole effort doesn’t seem as strong as Howards’ debut effort. There’s little warmth and comfort to be found in the songs, which might perhaps alienate some fans of the singer, despite it being something we’ve been presented before by Howard. Howard’s song-writing talents certainly come across well on his sophomore effort, though the whole album lacks in certain places. The album might alienate some fans of the singer, though there’s still a lot to be enjoyed, with many of the tracks coming across incredibly strongly. The effort is perhaps darker in tones, though Howard’s creative talents don’t come across any less than they ever have done. Within its own rights, ‘I Forget Where We Were’ is a worthy follow-up to ‘Every Kingdom’, giving Howard the capacity to move forward from his debut effort in very interesting and worthwhile ways. Ben Howard’s latest album ‘I Forget Where We Were’ is out now. Singer/Songwriter/Musician Wayne Hussey offers up his latest album effort titled ‘Songs of Candlelight and Razorblades’. The new album showcases more of Hussey’s rather diverse musical style, as well as some great presentation of some rather good ideas. Much of the music on the album feels rather down-beat and slow, allowing for Hussey to really express himself with his vocal talents. It’s a rather good album effort, feeling at times like the kind of music suited for a James Bond film, though one that still works rather nicely as a full-album experience. There’s much to enjoy from Hussey on his latest album effort, though there’s a fair amount of rather average songs to sift through on this album. 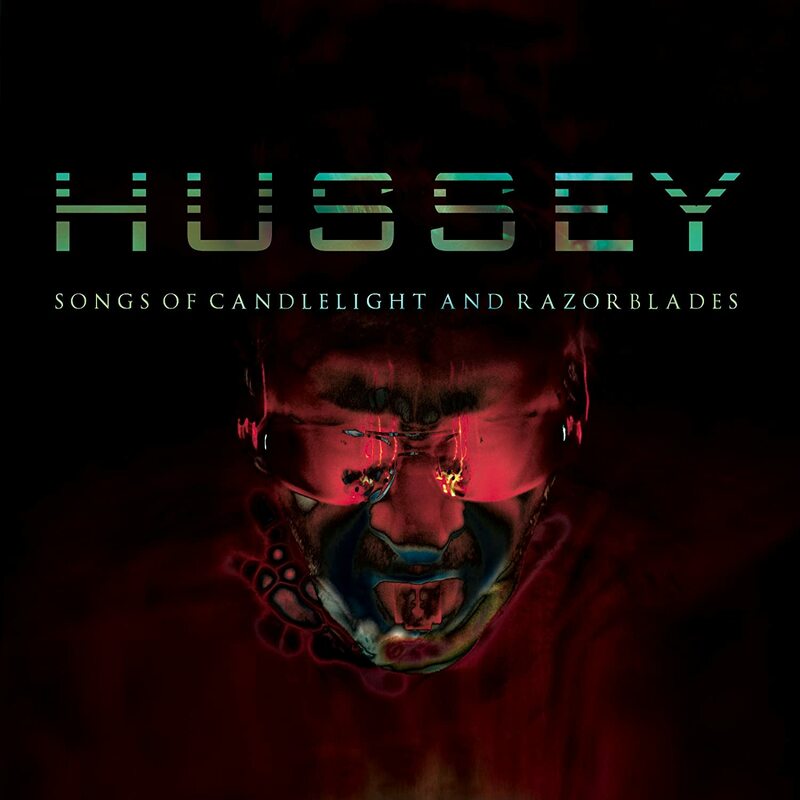 ‘Songs of Candlelight and Razorblades’ offers up an interesting album experience, with Hussey displaying remarkable vocals and song-writing talents in many of his songs. There’s an almost dream-like quality to some of the songs, giving at times a dark and macabre yet playful sense in the whole album experience. Certain tracks feel dark and ominous, though it’s hardly overbearing, and in fact feels somewhat charming at times. It’s an interesting idea that works well for Hussey, who manages to present most of his ideas on his latest album to rather great effect, showing off some very well written tracks. Whilst there’s a fair amount to enjoy on ‘Songs of Candlelight and Razorblades’, the album does display somewhat of a sluggish quality after a while. There’s a strong start to the album, but afterward most of the tracks seem to wane in comparison, demonstrating the same techniques and ideas over and over until they become a little boring. A few tracks seem to pick up, but towards the end, everything just seems a little bit too dull, perhaps suggesting that Hussey has attempted to do too much on his latest album and has included far too many tracks that don’t really add much to the overall album experience. There’s a fair few tracks on ‘Songs of Candelight and Razorblades’ that are very enjoyable in their own right, though the whole album experience does feel a little bit daunting after a while. One too many songs seems to hurt the overall effect of the album, especially in their nature of not really showcasing anything new or interesting from Hussey, and instead just sporting the same structures and compositional techniques that have made up a lot of the other songs. Hussey does demonstrate a lot of talent in the songs that do work on his latest album effort, though there’s a fair amount of music that perhaps could do with trimming or completely discarding. Hussey’s latest album ‘Songs of Candelight and Razorblades’ is out now. Timber Timbre’s Simon Trottier and Olivier Fairfield’s new and exciting project Last Ex sees the release of their self-titled album effort. Drawing upon groundwork established during attempts to make a soundtrack to a 2012 horror film, Last Ex showcase a phenomenal instrumental rock style (or Post-Rock to some), echoing the days of early Do Make Say Think and Tortoise. ‘Last Ex’ comes across as a very unusual and slightly inaccessible/out-of-reach album experience, presenting a slightly harrowing and unsettling viewpoint of our world where there’s twists and turns at every corner, ready to jump out at you. Many elements of ‘Last Ex’ seem to build up from the framework being established by the soundtrack genre, giving a real sense of structure to the album. Trottier and Fairfield however haven’t let themselves be limited by the rules of the genre, and instead use it as a jumping off point, establishing new ideas, concepts and even rules in their music. Much of the album has the feelings of an instrumental rock album, though the album doesn’t strictly feel as such, and instead portrays its own images and ideas incredibly naturally, showing incredible dedication to the crafting of real music. The album experience feels exciting and worrying, throwing up an incredible range of emotions and ideas all anchored around incredibly cohesive structures. We can argue that ‘Last Ex’ suffers at times from similar structures and motifs in the various tracks, giving a sense of similarity that runs throughout the whole album. We can even argue that there’s a very dark undertone to the whole album, making it quite uncomfortable to some. The album experience feels very distant, not offering much that listeners can easily connect with. It’s arguable, but whenever these moments occur, it somehow seems to work for the album itself, strengthening the whole experience and giving it the sense of being a concept album. Last Ex seem to have constructed a superb album experience that seems to have come out of nowhere. Last Ex’s debut effort come across as a superb album experience, echoing a style of instrumental-rock music that seems to have been lost for a fair few years, whilst simultaneously bring new life to it. Elements of ‘Last Ex’ don’t feel all together new or exciting, but Last Ex have hardly offered up a rehashing of what we already know and are familiar with. ‘Last Ex’ is ultimately its own album experience, ready to please anyone who love carefully crafted music, where everything just simply works. It’s quite dark and unsettling, though this debut album from Last Ex offers so much, including comfortable repeated listening time and time again. Last Ex’s debut album ‘Last Ex’ is out now on Constellation Records. Combining elements of reggae, dub and hints of ska, Dub Colossus present their rather varied album experience titled ‘Addis to Omega’. The new album showcases Dub Colossus’ interesting style of genre fusion, as well as their understanding of musical structure within the confines of the genres they choose to work within. There’s a varied mix being presented on the album, which shows that Dub Colossus are no one-trick pony, and instead have a fair amount to offer. Whilst there’s something of interest being presented by the band, it seems that there’s a little too much happening on ‘Addis To Omega’, which fails to string together its great selection of genres in any cohesive way. ‘Addis To Omega’ is a little all over the place, but the album does demonstrate some nice ideas and a few rather nice tracks. The whole album is incredibly rich in terms of the instrumentals being offered by the band, which isn’t restricted to the most basic of instruments, and instead takes great strides to incorporate many different elements. There’s some interesting tracks being presented by the band, most specially when the band head into the reggae genre. Dub Colossus’ style of the genre is one that is a little different, though rather relaxing and enjoying, forming the highlights of the whole album. Much of the album seems to go more or less down the dub line, and whilst its interesting, it feels like the vast majority of the tracks being presented by Dub Colossus, (even some of their reggae songs) simply don’t offer anything that is new or interesting, and is instead just a rehashing of everything else preceding it. Song structures seem to just follow the exact same format as other songs found within the genre, making the individual tracks incredibly pointless and somewhat frustrating to a point. Considering there’s some real strong moments on the album, it seems odd that Dub Colossus have chosen to dominate their album with incredibly poor and dull tracks. There’s some rather enjoyable moments on ‘Addis to Omega’, though the whole album experience is incredibly flawed and not really worth bothering with in this respect. There doesn’t seem to be much of an album structure being demonstrated by the band, instead sounding more like a compilation of little genre experiments. There’s some great tracks scattered amongst the track-listing, though it’s not enough to really make this album worth bothering with, and even so, there are much better songs out there within the genre. Dub Colossus demonstrate some nice ideas here and there, but hardly enough to make an incredible album experience. 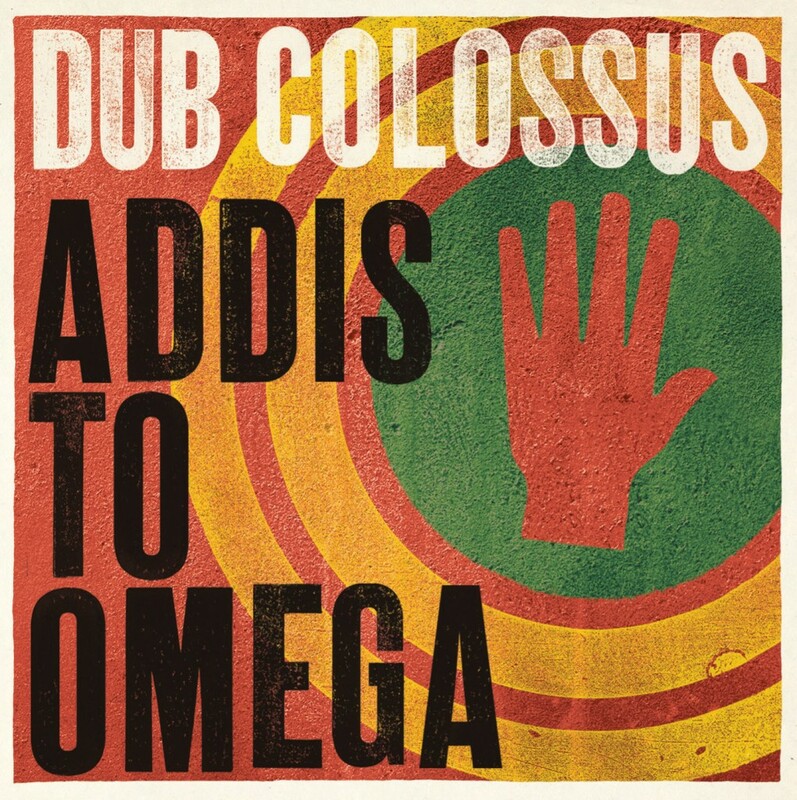 Dub Colossal’s new album ‘Addis To Omega’ is out now.